Cash for cars WOLLONGONG is a part of Zoom car removals Sydney, the pioneer in scrap car removal. We service Wollongong and surrounding areas such as; Albion Park, Avondale, Bellambi, Berkeley, Brownsville, Croom, Corrimal, Cleveland, Dapto, Flinders, Figtree, Gwynneville, Horsley, Jerrara, Kiama, Kembla Heights, Koonawarra, Lilyvale, Mount Keira, Mount Pleasant, North Macquarie, North Wollongong, Otford, Port Kembla, Shell Cove, Tarrawanna, Unanderra, Warrawong, West Wollongong and Yellow Rock. We pay cash for cars (old cars, new cars). Don’t want that unwanted vehicle sitting in your driveway, yard or garage taking up space? Maybe you can’t turn the vehicle. Or, maybe it is time to sell that near mint condition car or truck of yours. When it is time to sell your car, truck, van, 4WD, SUV or bike, don’t go through the hassles of selling your vehicle to a third party. Sell you car to us. We buy cars of every condition. Even if it’s cash for junk cars. We don’t require much. The title of ownership to the vehicle and proof of your photo ID. With that, you can have your unwanted car of any condition sold today! We are tow my car specialists and our towing service is quick and easy to organise. When the vehicle no longer runs, or you don’t have time to sell the vehicle, then Cash for Cars Wollongong is the answer. Settling on selling your vehicle to us is not settling at all. We are scrap car buyers. We have a long history in the Car Removal Business of paying the best payouts on unwanted vehicles of any condition! We are a professional car buying company and a car wrecker, so we are in a position to buy any vehicle we get a call for. Do you have a scrap car? We’ll buy it! Do you have a used car? We’ll buy it! Do you have a wrecked car? We’ll buy it! Do you have a damaged car? We’ll buy it! It is that simple at Cash for Cars Wollongong. Simple as giving us a call and your car is SOLD! Tow your car for cash. At Cash for cars Wollongong, our Car Removals Wollongong are always free. We don’t require that you do much, simply give us a call with the details of your vehicle so that we can offer you a good instant cash offer on the vehicle. Our car removals are fast and are arranged at a time that is a convenient time for you. We remove vehicles at all times of the day or night, so any time that is a good time for you, just let us know. We remove the car for FREE when you book your car removal service and we will look after the paper work for FREE. For more information regarding handing over the number plate and the refund for the license please vist your nearest RMS branch. In Brisbane Visit Premier Cash For Unwanted Cars Brisbane & Newcastle Scrap Car Removal. 2. Complete our instant cash offer form that is located on this page. You’ll need to provide us with the basics about your vehicle, as well as a complete description of the vehicle. With that, we will make you a cash offer. 3. Arrange a free car removal. 4. Have your title of ownership and proof of photo ID ready for when we arrive. 5. Sign the paperwork that we provide and collect the instant cash. When we buy a car, it is that simple. We buy cars of every condition, every make and model and every age and pay our customers up to $9999 just to wreck the vehicle for them. Our wrecking means that we don’t just put your vehicle in a yard for people to pull the parts, we recycle all the parts and metal and reuse and resell the reconditioned goods. It is a process that puts up to $9999 cash in your pocket. 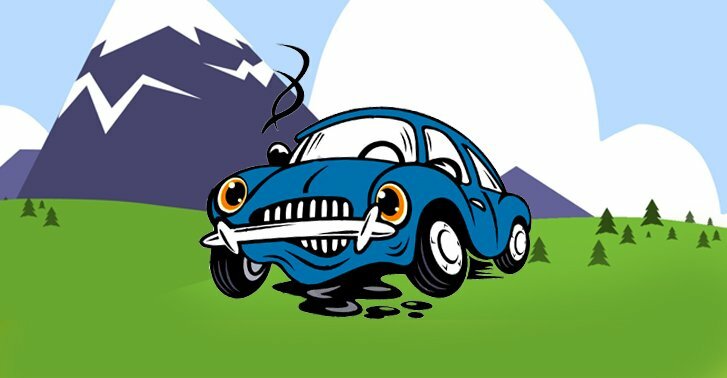 Our car wrecking system is one that does not cause any threats to the environment as all hazardous materials are drained and properly disposed of, and the vehicle is recycled 100 percent. It is this system of ours that allows us to make full use of a vehicle, offering our customers top cash on any vehicle of any condition. Whatever make or model, age or condition we will pay you up to $9999 instant cash on your vehicle. We buy cars, trucks, vans, SUVs, 4WDs and bikes. Give us a call. At Cash for Cars Wollongong, we pay Cash For Cars that can be in your hand the same day that you give us a call to request an instant cash offer. We are a company that offers good deals on vehicles simply because that is how we earn our good name. We only require your title of ownership and your photo ID so that we can verify you are you!